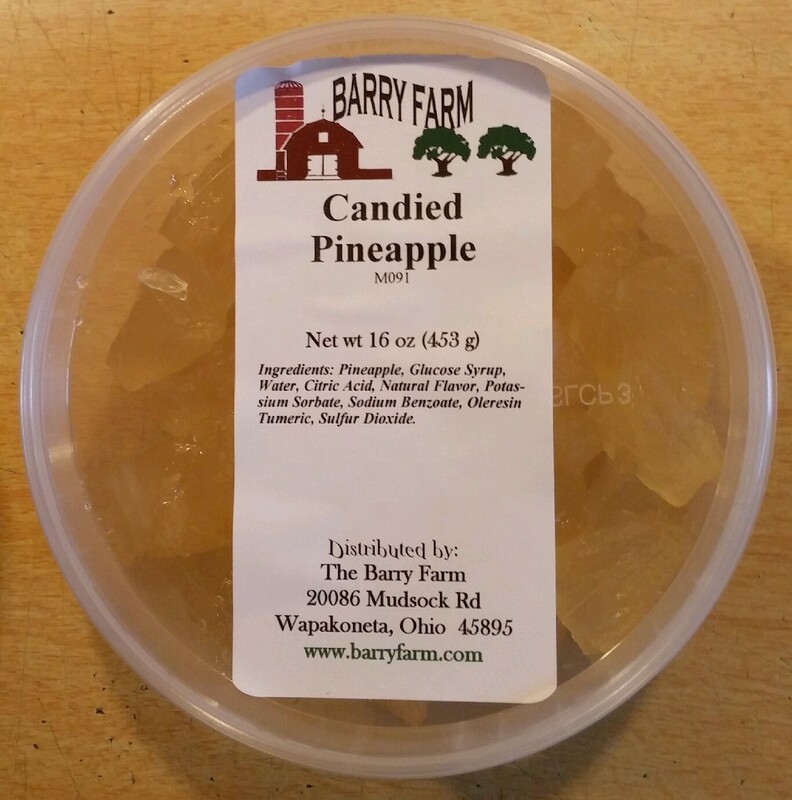 We invite you to look over our wide selection of candied fruits. 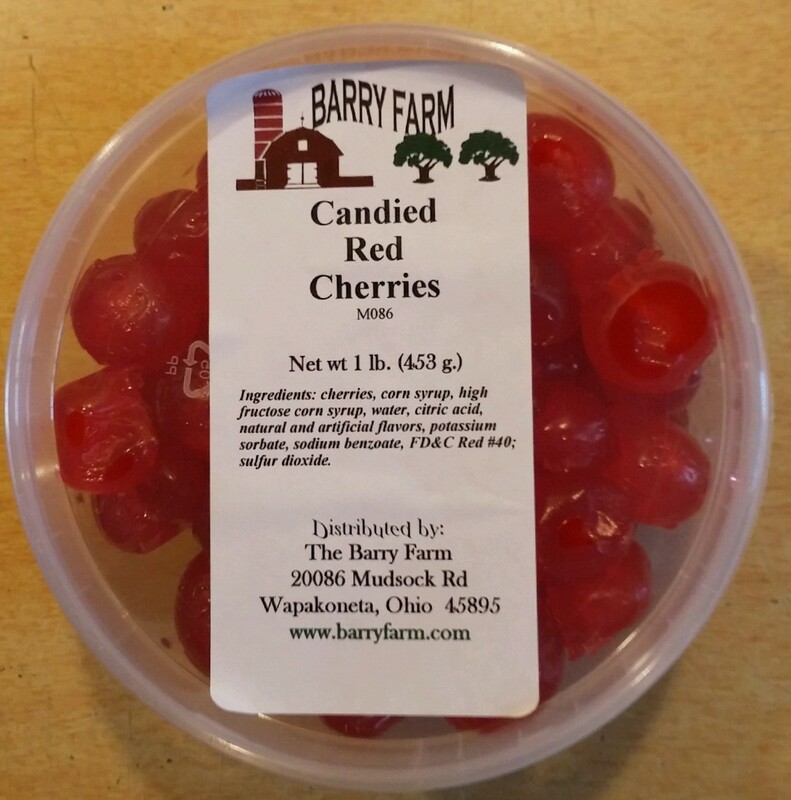 We pride ourselves in being able to provide some of the freshest and best candied or glace fruit on the market. All of these fruits are delivered to us direct from the factory and then hand packed one case at a time. We carry these fruits all year long to provide you with ingredients for that fruitcake that takes months to cure as well as things like a groom's cake for that special wedding reception and even Hot Cross buns. 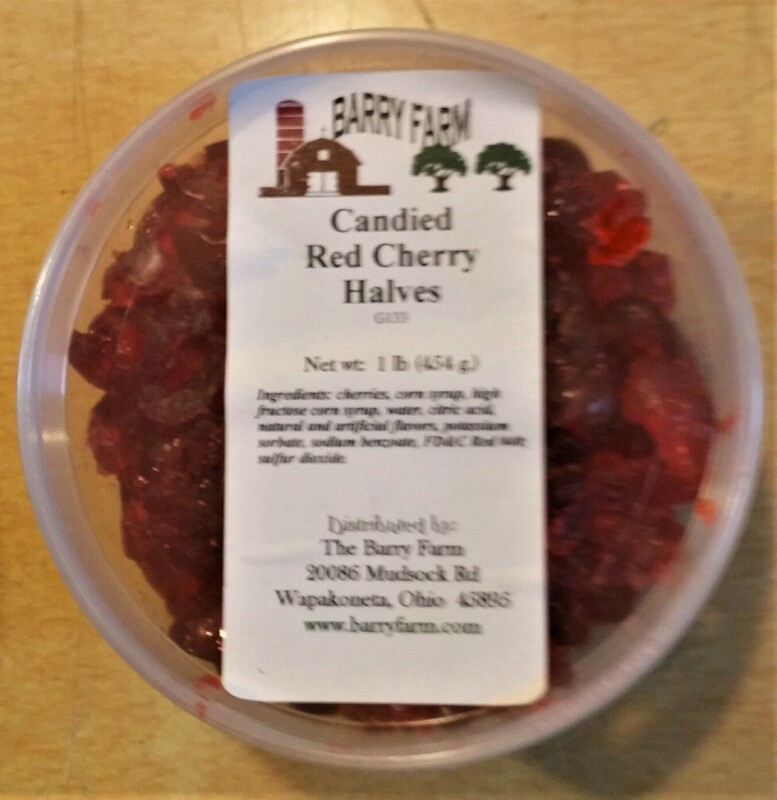 Several of our customers have won blue ribbons at their State fairs using our candied fruit and won't use anything else. Whole Whole fruit, packed in 8 oz. or 16 oz. deli tubs or 30# case. 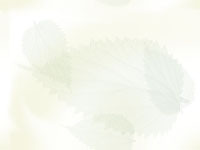 Product Information-Click Here $3.20/8 oz. 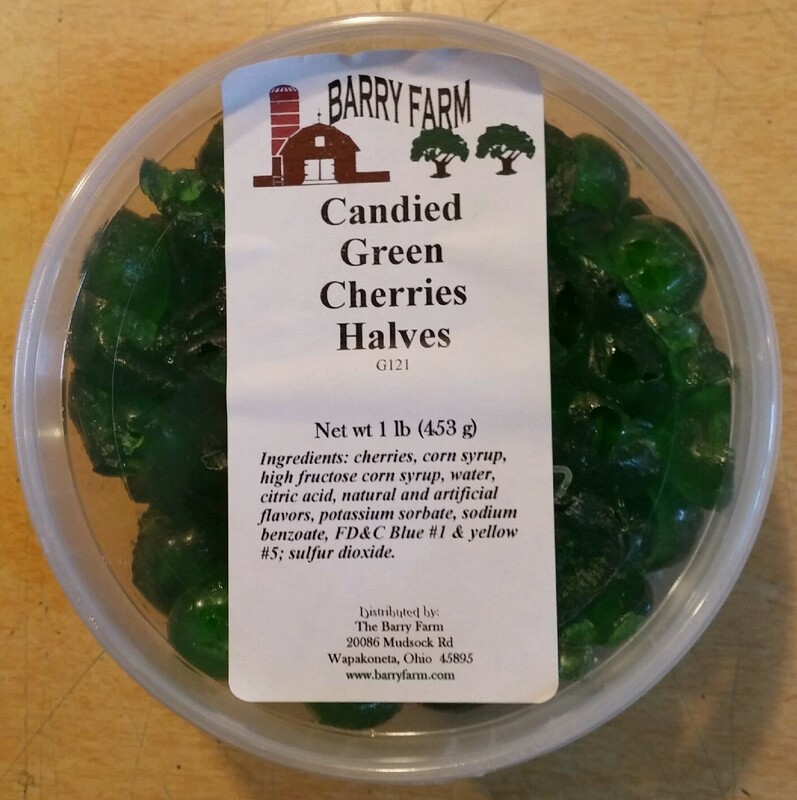 Halves Halves, packed in 8 oz. or 16 oz. deli tubs or 30# case. $3.00/8 oz. Halves Halved fruit, packed in 8 oz. or 16 oz. deli tubs or 30# case. 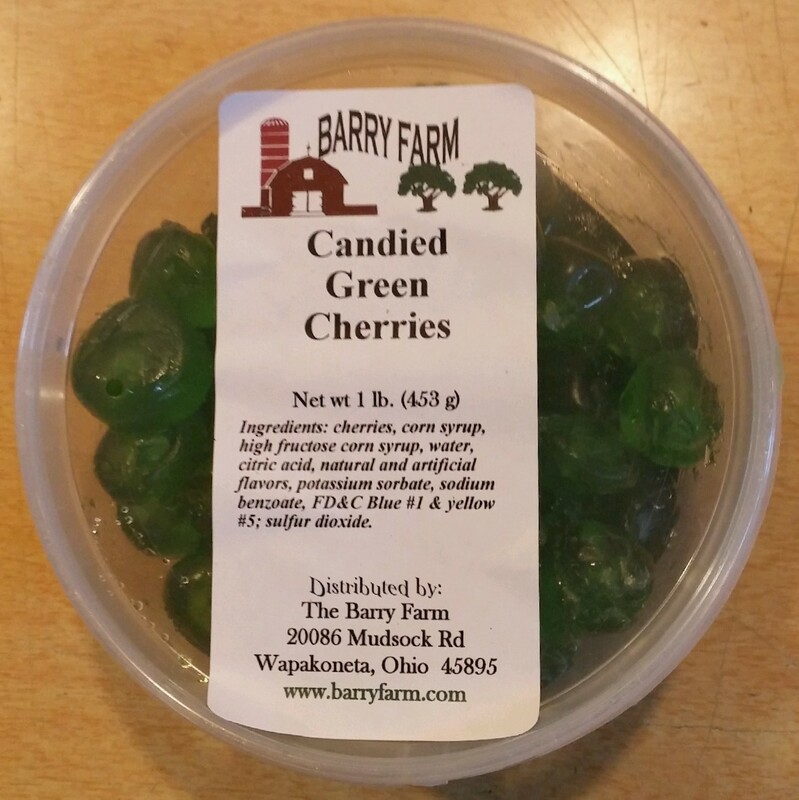 Product Information-Click Here $3.00/8 oz. Chips Diced fruit, packed in 8 oz. or 16 oz. deli tubs or 30# case. 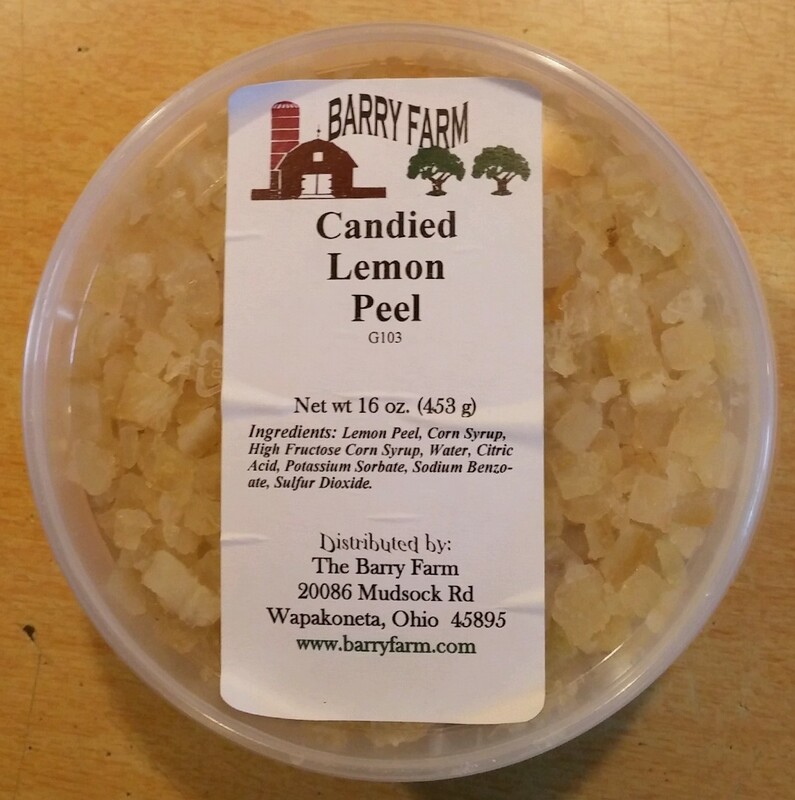 G103 Candied Lemon Peel Diced/ 3/8" dices, packed in 8 oz. or 16 oz. deli tubs or 30# case. 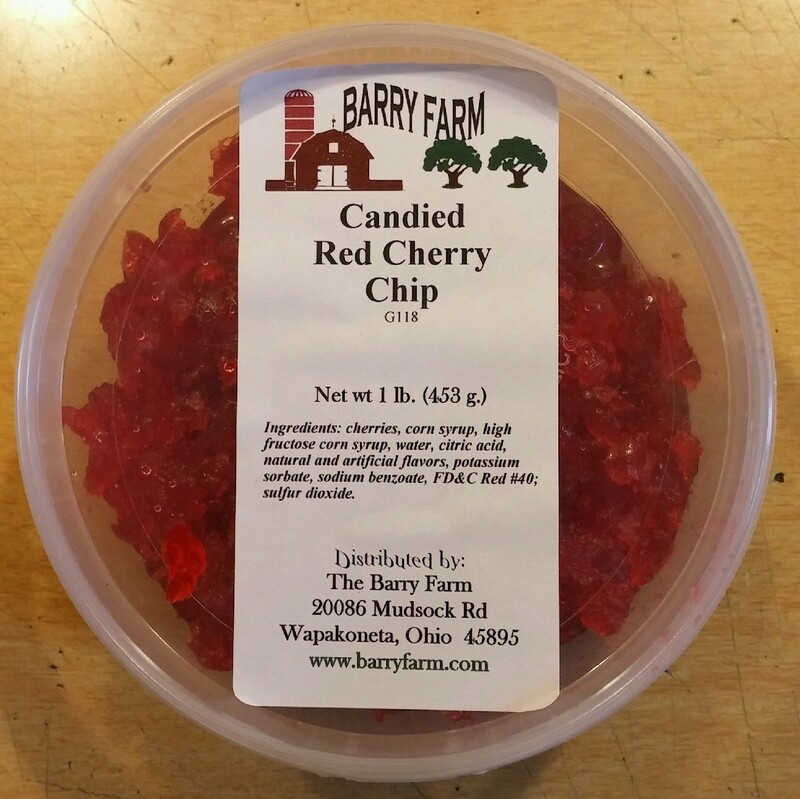 Product Information-Click Here $2.80/8 oz. 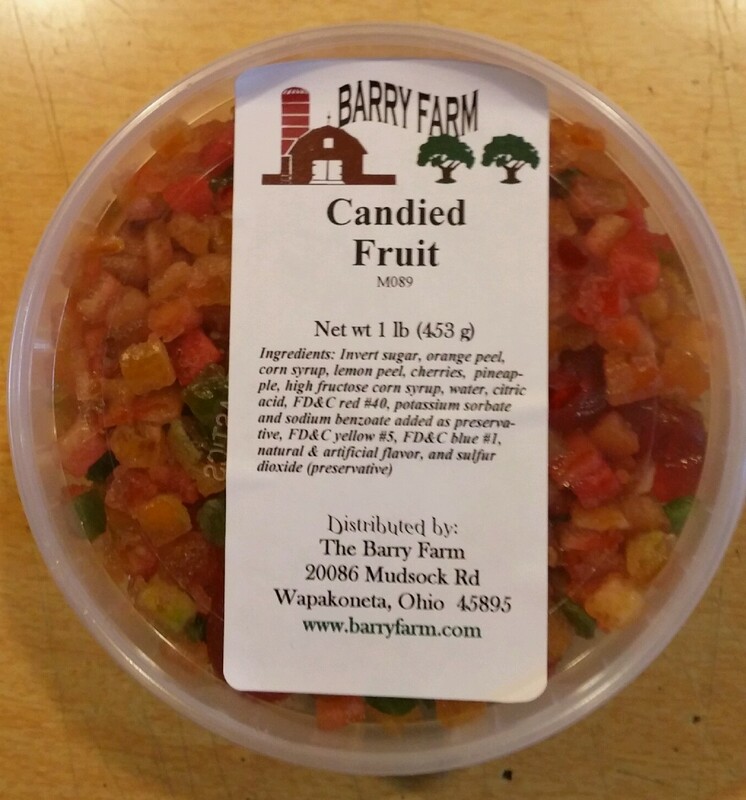 M088 Candied Mixed Fruit 3/8" dices, packed in 8 oz. or 16 oz. deli tubs or 30# case. 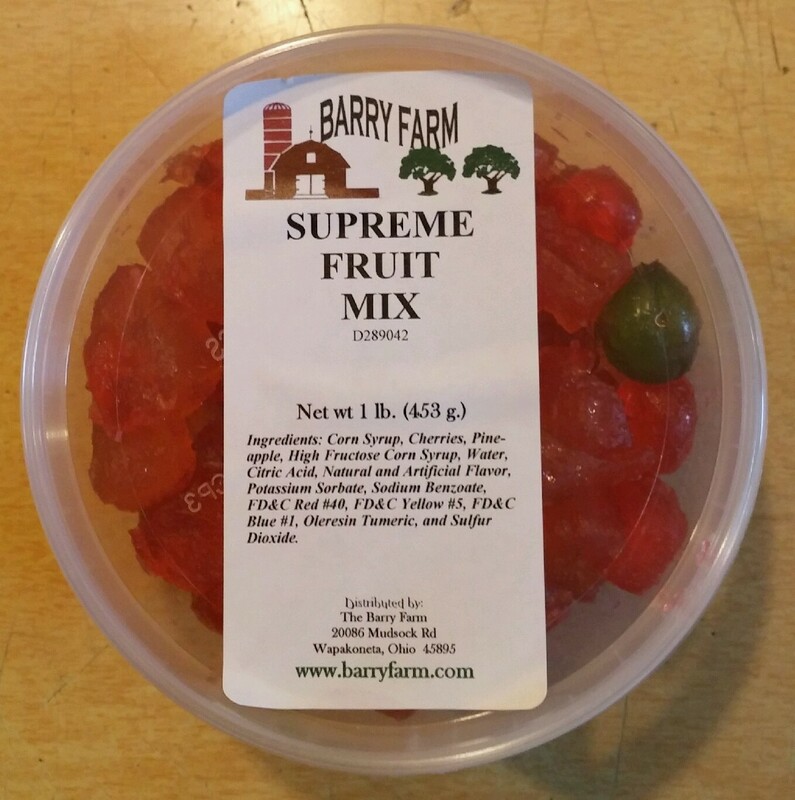 Supreme Fruit Mix Large dices and whole, packed in 8 oz. or 16 oz. deli tubs or 30# case. 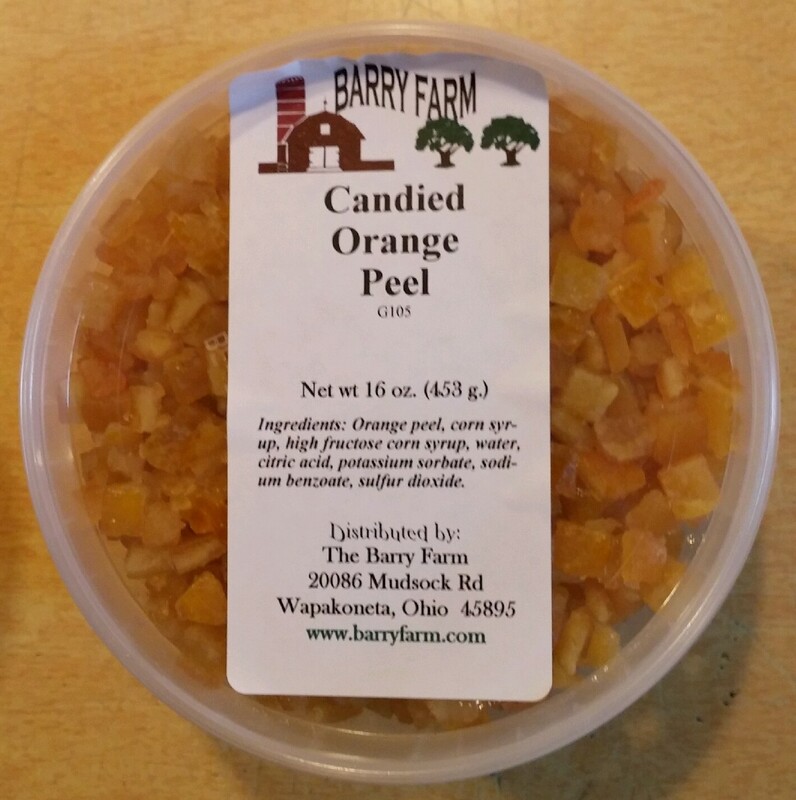 G105 Candied Orange Peel Diced/ 3/8" dices, packed in 8 oz. or 16 oz. deli tubs or 30# case. Wedges, packed in 8 oz. or 16 oz. deli tubs or 30# case.